Apartment living focused on independence, health, and choice. 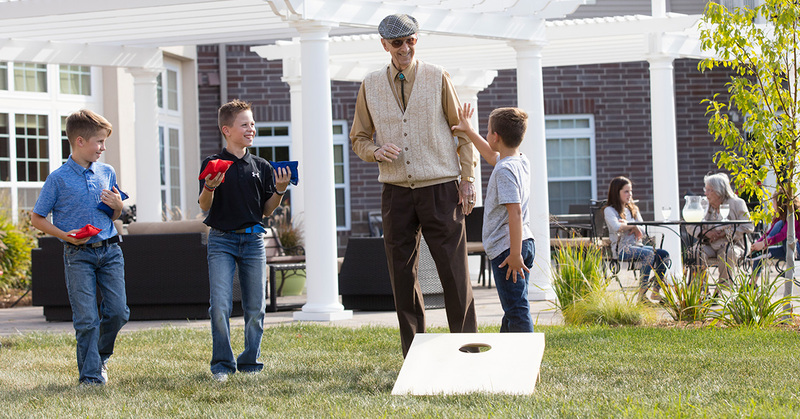 Our apartment living communities offer active seniors 62 and above choices about how they want to live. Enjoy the privacy and freedom of home combined with the convenience and security of professional staff, a maintenance-free environment, and services and amenities at your fingertips. Not to mention great neighbors! There are residential choices, such as a selection of apartment floor plans and interior features. There are also lifestyle choices: a full schedule of activities; a selection of meal plans and menus; and options for personalized service to meet a resident’s particular needs. Residents can be as active as they choose to be, with access to wellness programs, chapel, theater, café, media room theater, salon, and more. Amenities vary by location. Each of our communities offers unique services and features, while consistently delivering Eventide’s outstanding level of personal care and service. Questions about senior living apartments? Let us help.